Main Taare Lyrics from Notebook is sung by Salman Khan, composed by Vishal Mishra and written by Manoj Muntashir. This movie features Zaheer Iqbal & Pranutan Bahl and directed by Nitin Kakkar. 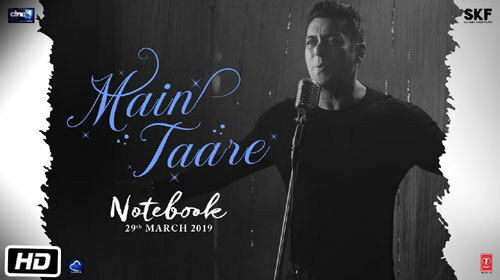 If you find any mistake in lyrics of MAIN TAARE LYRICS – Notebook | Salman Khan song please let us know in comments.